Merry Christmas! I’ve been shopping a lot lately due to the holidays. 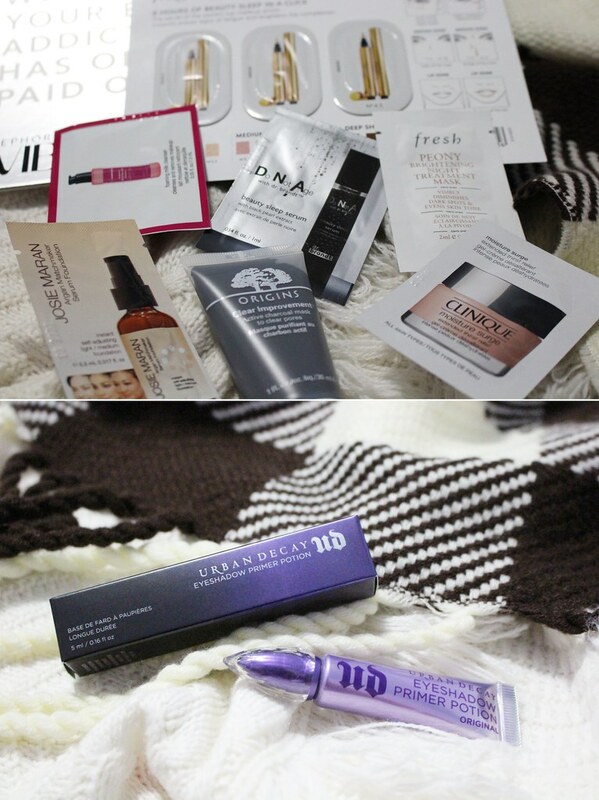 I decided to gift myself more cosmetics of course haha. I ordered from Sephora two different times this month and finally made it to being a VIB. Two orders also meant a lot more samples which I haven’t gotten around to trying yet. One of the products I really wanted to try was the Urban Decay Eyeshadow Primer Potion; eyeshadows tend to smudge on my lids even though they’re not oily so I wanted to give this a try. So far, I think the primer helps quite a bit with the smudging. 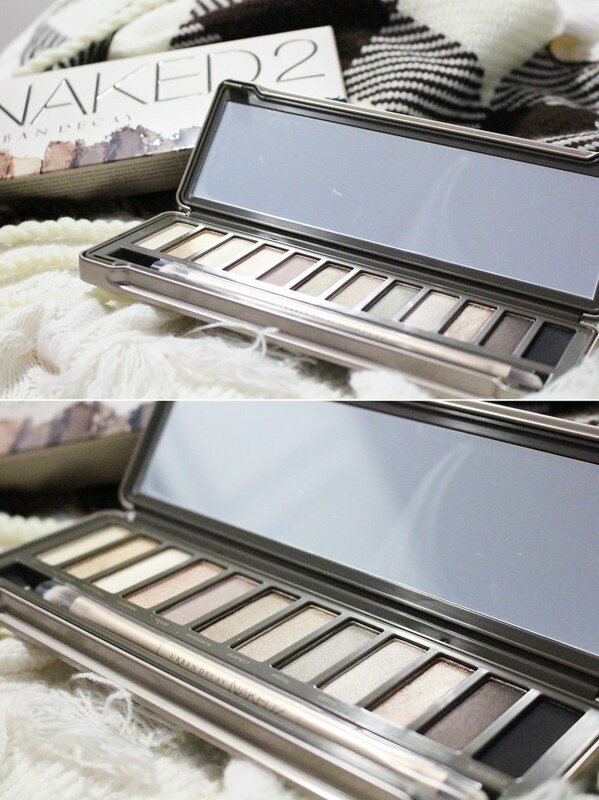 The one product that I was super excited for was the Urban Decay Naked 2 palette. I don’t have any of the other full sized Naked palettes; I only have the Naked Basics which I really love. I’ve read a lot of good reviews about this palette and have been contemplating whether to purchase this for a long time. I finally decided to just take the plunge and buy it as a Christmas present to myself. 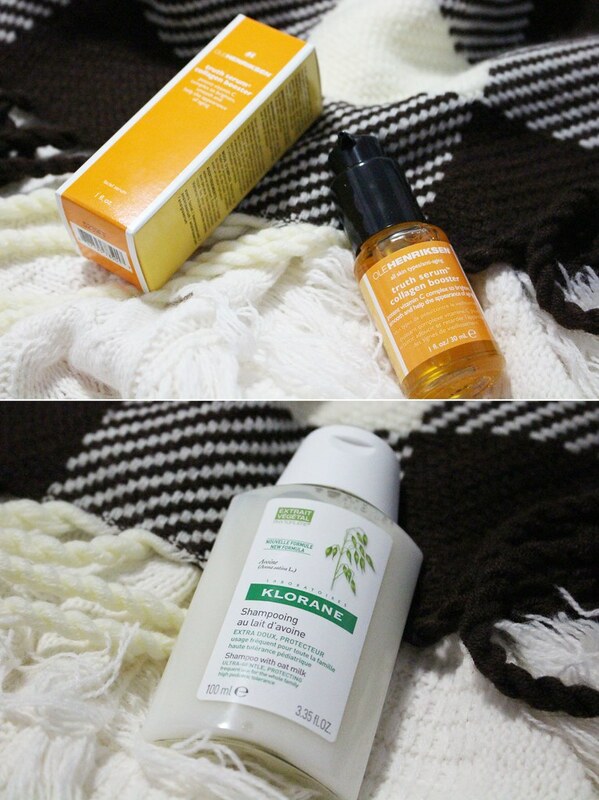 I also bought the Ole Henriksen Truth Serum Collagen Booster, the Klorane Shampoo with Oat Milk, and the Sephora Collection Bright Future Gel Serum Concealer (I forgot to take a picture of this concealer!). The serum is actually my third bottle from this brand. It’s a serum that’s supposed to help brighten and minimize fine lines. I don’t really have much fine lines but I use this as a preventative measure since I’m heading towards my mid-twenties soon. I’ve been on a hunt for shampoos lately. I tried the Verb Shampoo a while ago but it was drying to my scalp so I needed to try another one. I’ve only been using this new shampoo for a few days so I can’t really tell if it’s good or bad. The same goes for the concealer which I tried once; I use it mainly for the eye area and it seems to really brighten but it doesn’t really cover my thousand year old dark circle very well. I’ll give a few more try though. On a side note, what did you decide to gift yourself this year? Hope you have a Merry Christmas and Happy Holiday with your friends and family! Yay the Naked 2! 😀 It’s my absolute favorite eyeshadow palette! ❤ You're going to love it too! And congrats on being a VIB! I own all the Naked palettes except for the first. 2 is what I use the most. Merry Christmas Vicky, what a way to pamper yourself this season, I have the same eye primer and it’s been awesome,xoxo BING. Hope you had a great Christmas too! Merry Christmas! You got some awesome things! It couldn’t be any better like this!!!! Those colors are so beautiful!! Ooh la la! Lucky you:) I love Naked!! I have all of the palettes, i use 2 and 3 the most! !